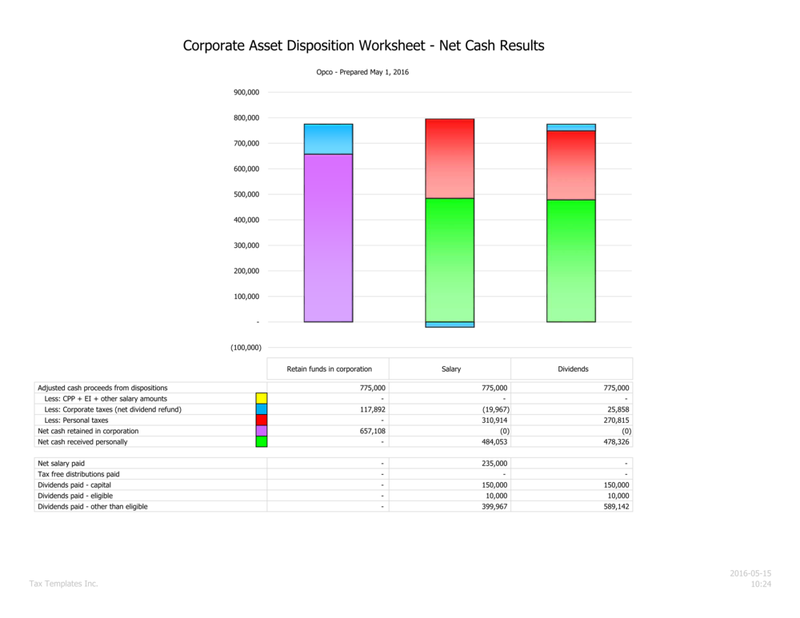 This worksheet determines the total corporate and personal taxes resulting from the disposition of corporate capital assets and subsequent distribution of the net proceeds to a shareholder. 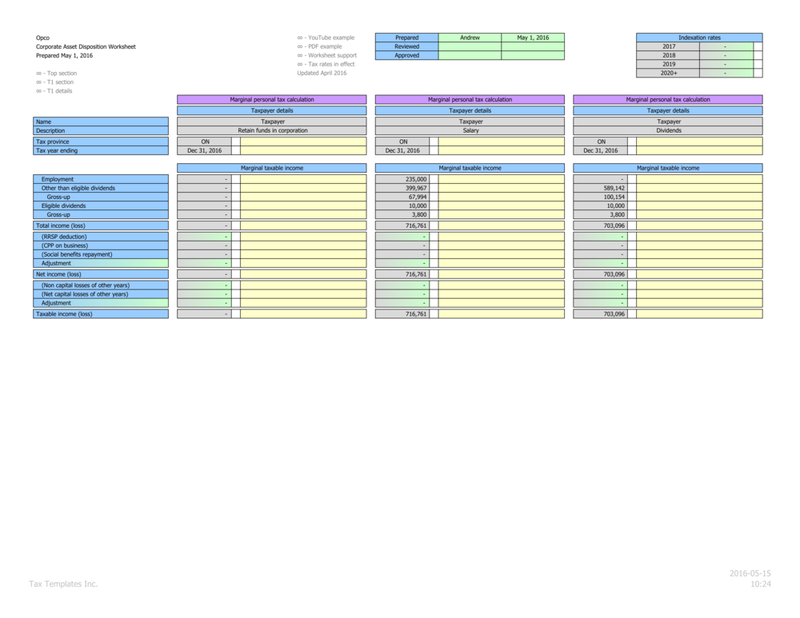 Multiple scenarios are supported to determine the ideal remuneration strategy. 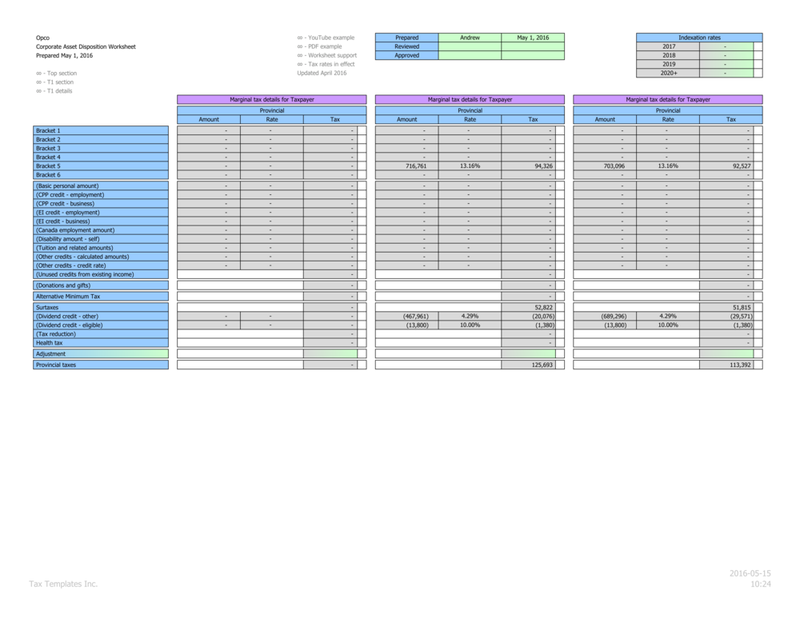 With a few simple inputs, this worksheet calculates the capital gain or loss, applicable recapture or terminal losses, corporate taxes, and personal taxes. The calculations consider a broad set of elements, including GRIP, RDTOH, CDA, non-capital losses, and capital losses to provide a comprehensive solution – precisely built to your client’s corporate and personal tax situation.